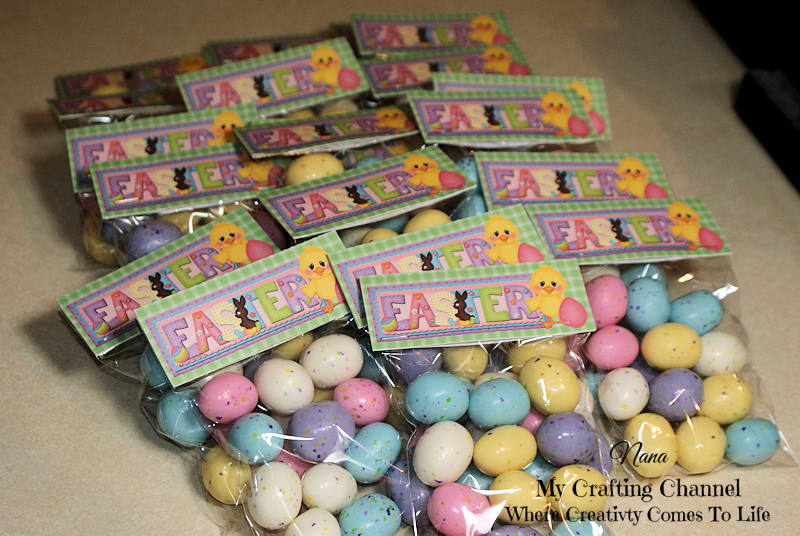 This morning I'm sharing with you the treat bags I made for Corbin's class this year. I'm so busy with other projects I did a simple print n cut. No time for piecing. 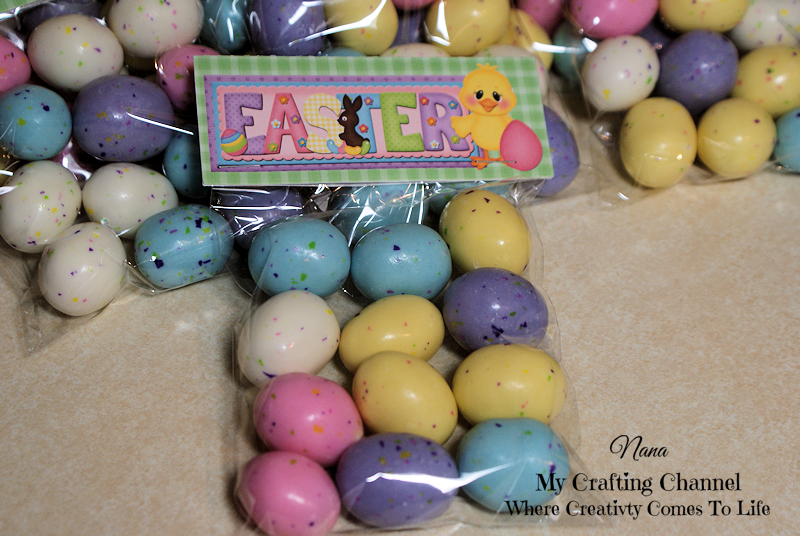 These were so simple and easy not sure why I have not done more this style treat boxes/bags in the past. Aw what a super Nana to Corbin.. Love those treat toppers... and of course those yums in there too! What a awesome treat bags/ toppers!!! De kids will love them!! I love all the bright colors and the super cute sentiment image!!!! You did a awesome job, my friend!! Have a great day. These are super cute Nana, Corbin will love them as will his friends. These are adorable Nana! 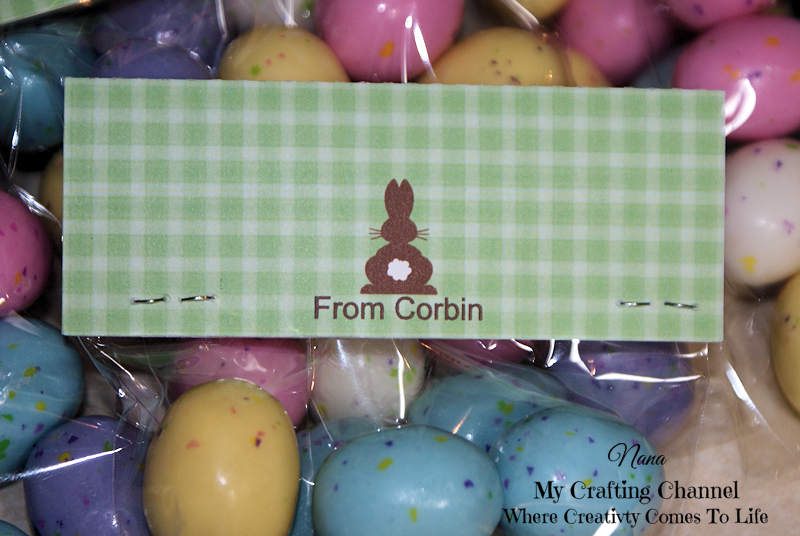 I am sure Corbin's friends will love them:) I love the print and cut feature! The kiddo's are gonna just rip into them anyway! Super cute! Oh my goodness, look at all that adorable yumminess! What cute, cute bag toppers and I'm sure the kids won't mind that it's a print and cut!! They look amazing! 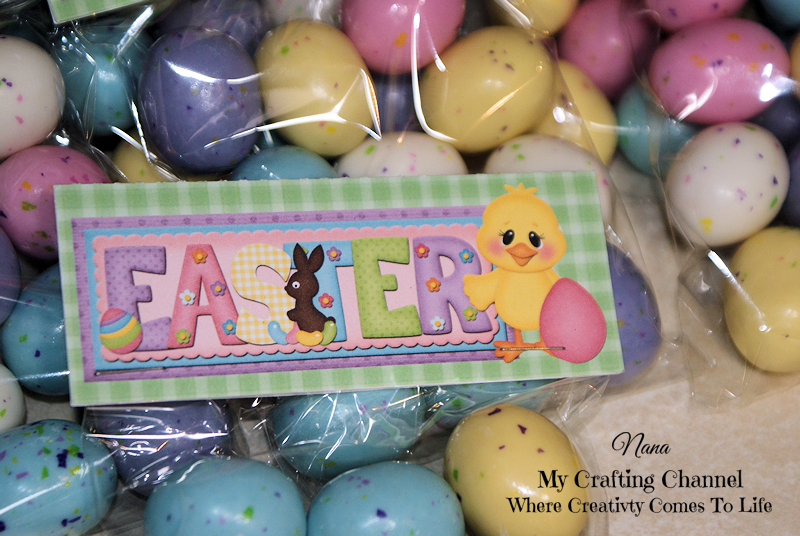 I just love these adorable Easter treat bags! Corbin and his classmates are going to love them! Bet the kiddos LOVED them!